Mamata Banerjee may be at loggerheads with her political rivals again as the West Bengal government has decided to not use electronic voting machines (EVM) for next year's local body elections. 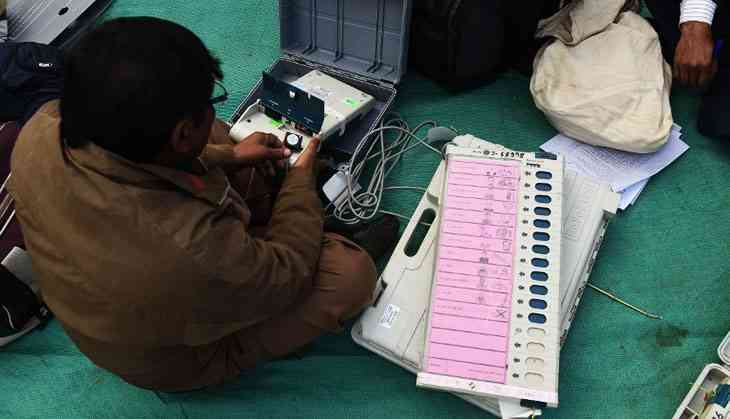 Using EVMs would cost the cash-strapped state Rs 300 crore-Rs 400 cr, said a source in the Mamata government. It has reportedly appraised the state election commission of its position. Opposition leaders, however, fear that a return to paper ballots will hamper free and fair election. Refuting the government logic of funds crunch, they pointed out how Chief Minister Banerjee spends large amounts on advertisements. "It’s a disgrace. We urge the SEC to reconsider our demand to hold the elections using EVMs," said Sujan Chakraborty of the Communist Party of India (Marxist). The Congress too said it has appealed to the SEC. "If voting is conducted in ballot boxes, there will be high chances of mass-scale rigging. We will also request the SEC to deploy central forces along with state paramilitary forces,” Congress leader Abdul Mannan said. Banerjee, on the other hand, has put the ball in the BJP's court, blaming the lack of funds on the Centre's "discrimination" against Bengal in the allocation of central funds. The SEC wrote to the government to explain how it was in the best interests of everyone to use EVMs, an official said.